Caribbean Cottage is an Historic Bahamian house that has been completely renovated December, 2018. Located on a 2 block long lane situated between Duval Street and Simonton Streets, just off U.S. 1 (Truman Avenue). Sit on the front porch with 2 rocking chairs and a porch swing and watch people strolling down the street and listen to the soothing sounds of the blue water fountain in the front garden. There is a bicycle lock up in the front, too. Walk inside the living room and be greeted with “Caribbean” blue walls with a custom made sleeper sofa (5” memory foam mattress) with an underwater critter motif. Relax in the blue swivel bucket chair with foot stool while watching the 56” Smart TV to watch sports or your favorite channels. Bring your Netflix and Prime passwords to watch movies on our newly provided fiber optic Wi-Fi. A small chest with pull out shelf for computer work is also provided. Local art completes the “relaxed” attitude of this living space. The front bedroom off the hall features a king deluxe memory foam bed, Pottery Barn furniture with pull out baskets under the bed for extra storage. Custom sea glass art by Robin Renee Hix adorns the walls and another 56” Smart TV is on the wall facing the bed. There is a makeup vanity/desk, Pottery Barn closet and storage for your convenience. USB ports are on the bedside lamps and wall. Walk down the hall to the colorful bathroom on the right. Tiled in a rainbow of muted colors, a 17” toilet for your comfort, shower with magnetic shower head to wash your furry friends if you bring them, Tommy Bahamian body wash, shampoo, conditioner and body lotion is also provided for your total comfort. Beach towels, bath towels in a lovely shade of blue complete this bath. The custom kitchen with beautiful quartz countertops will dazzle you! Appliances included are refrigerator/ice maker, garbage disposal, glass top stove and microwave. Everything needed to cook/bake a gourmet meal are provided including blender, food processor, Vita Mix, pots, pans, drink glasses, sharp knives, cutting boards, coffee maker, toaster, etc. Sit at the custom 2 person bar for coffee with swivel bar stools and charge phones/pads in the USB ports. There is a Bluetooth speaker there if you want to listen to news or a podcast while enjoying waking up. The second bedroom/bath is at the rear of the cottage. Walk out the kitchen door under awnings and you will find the second king bedroom which is built over the historic cistern used for water collection in the past. More Pottery Barn furniture features a king deluxe memory foam mattress, bedside tables with USB connections and a large walk-in closet with a barn door covering the opening. On the wall facing the bed is another 56” Smart TV. The bathroom here also has a 17” toilet with unique turquoise and navy blue glass on the floor. Ever taken an outdoor shower? Well here you can in our tropical paradise! Totally private with hot/cold water and Tommy Bahama toiletries, enjoy watching the clouds float by or look at the nighttime stars! The shower also has another door that opens to the pool for your convenience. In the rear, tropical plants, including many different types of orchids, surround the heated pool which is private for your use from 6pm till 9am. A locked gate at the side of the cottage provides privacy in the evenings. During the day, it is used by other guests enjoying our Adult’s Only pool. There is a second heated pool across the street for your use as well. On the rear deck is a table/6 chairs with a large rectangular umbrella to enjoy a meal outside as well as two outdoor lounge sofas to enjoy drinks and conversations. Washer/dryers are for your use, as well. A gas BBQ grill is on the deck outside the kitchen. Other extras provided are Amazon Alexa’s in each room, central AC/heat, ceiling fans throughout, Dyson cordless vacuum and all cleaning/soap supplies. Book this unit today to insure you have the best location to spend your month of vacation time on the perfect tropical Island getaway. Don’t forget Key West has free bus transportation all around Old Town that runs every 15 minutes and we have a stop just a block away! We look forward to hosting you and making your vacation PERFECT! Caribbean Cottage is located on Center Street in Old Town Key West. We are conveniently located to shops, restaurants and local attractions. Duval Street, our main downtown street is just half a block away. Lennon’s Lodge is located on Center Street in Old Town Key West. Just one half block off Duval Street. Convenient to shopping, restaurants and attractions.  Created by Center Court Key West. Copyright 2017. All Rights Reserved.